One paper frog = One digital frog!! 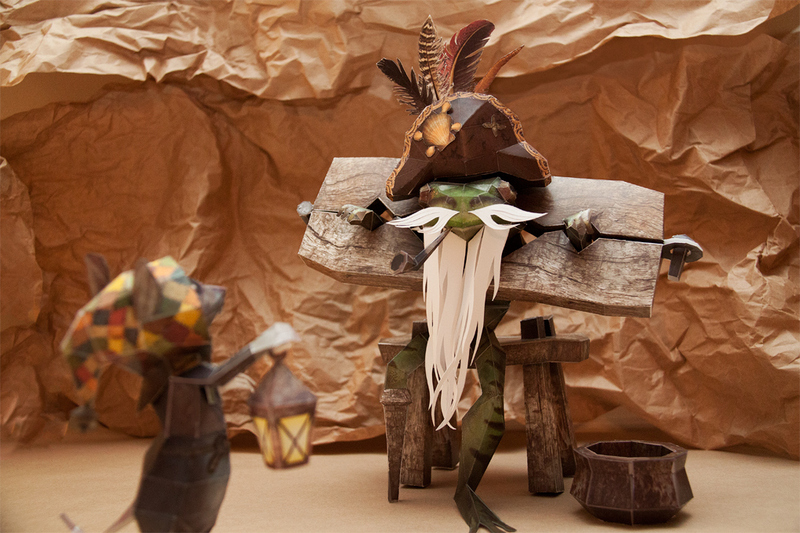 Hi there, as detailed in this update we're launching a new papercraft contest (similar to the one we did with Tilo) where you'll be able to win a free code for the upcoming console release of Ghost of a Tale! The figurine of Kerold is at the same scale as the one of Tilo, and so at least twice as tall. There's a pattern for Kerold's beard in the file; feel free to decorate it however you like, or even make your own out of cotton wool or whatever. Here is one crappy old black-and-white kerold from france ! It is my first papercraft and it took me three days since I made it out of thin paper (which was a very bad idea). I'm a broke student and I had neither heavy paper nor color printer but hey, I still wanted to participate Hope it will still do for the contest, I love the game, been following you since early development and have only recently been able to test it at a friend's but I won't be able to buy it before a long time ! Last edited by Enedred on Thu Nov 29, 2018 5:34 pm, edited 1 time in total. Wow, that was fast! Thanks so much, he's fantastic! I love that he's black and white. Our first Kerold! It's a little cold and dark outdoors here at the moment, so rather than show a very chilly looking Kerrold in the snow, we'll instead feature this very improvised indoor backdrop! 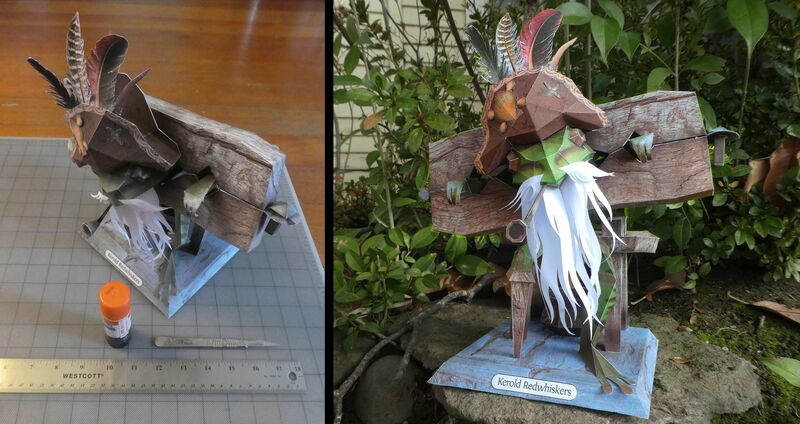 Thanks for creating this paper model to build! We had a wild few evenings connecting all the pieces together, and it will go great next to our Tilo! This looks so great! I love the background, and it's lovely to see Tilo and Kerold together. How was the build? Do you find it easier, or more difficult than Tilo? FREE?! Why would i want to be free? Being free is what got me put in here in the first place! Well... That and the piracy things. Another great Kerold! It looks really good on glossy paper, he has a realistic shiny skin! It was my brother who told me about Ghost of a Tale he loved and this contest, he knows my love for Diy and atypical games so he was right. For my first model it was a bit difficult but I loved it. So after 3 nights and 2 full days of work I present you my participation! Wow, really great job! Thanks for persevering, and making this wonderful kerold!